FINALLY THE WAIT IS OVER. 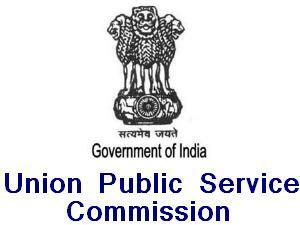 The Notification of Combined Defence Services Examination (II), 2015 which was scheduled to be notified on 18th July, 2015 was postponed by UPSC and the Notification is finally out on upsc.gov.in website. The Combined Defence Services Examination (CDS) is conducted twice a year by the Union Public Service Commission for recruitment into the Indian Military Academy, Officers Training Academy, Indian Naval Academy and Indian Air Force Academy. The exam will be held on 1.11.2015. The notification of Combined Defence Services Examination II (CDS II), 2015 has been finally released. The notification for the examination is usually released in the months of October and June, and the examinations are conducted in February and November respectively. Only unmarried graduates are eligible to sit for the exam. Check out for details of eligibility, exam pattern, syllabus, and important dates on our website. All the papers of UPSC CDS are of objective type and are required to attempt various sections which include English, General Knowledge and Elementary Mathematics. Each paper will be of 100 marks. Candidates successful in the written exam are called for an interview by a Services Selection Board which evaluates a candidate’s suitability for a career in the Indian Armed Forces.